Hy I have done my 10+2 with good percentage of marks and I want to take admission in the Yeshwantrao Chavan Goa Open University BBA so please can you give me the address of the Yeshwantrao Chavan Goa Open University and how many courses offered by it? From which departments or schools the Yashwantrao Chavan Goa Open University offers courses? 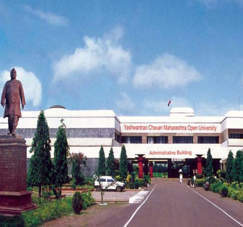 The Yashwantrao Chavan Open University was established in 1989. The YCMOU is member of AIU, ACU, AAOU, COL. The YCMOU is affiliated by UGC. Last edited by Aakashd; August 6th, 2018 at 10:40 AM. i want to do bsc in biotech.i got 74% and 64% in 10th and 12th. what is the procedure to get admission?